Every single tooth actually has a small bit of soft tissue inside it called the dental pulp where the nerve is located, and when this tissue becomes infected, whether because of decay or an injury, it can lead to a very bad toothache, the kind that keeps you up at night. To relieve this pain and save the tooth from extraction, our team can perform root canal therapy. With this, the damaged tissue is removed, the tooth is cleaned, filled, and then it will be fully restored with a dental crown. 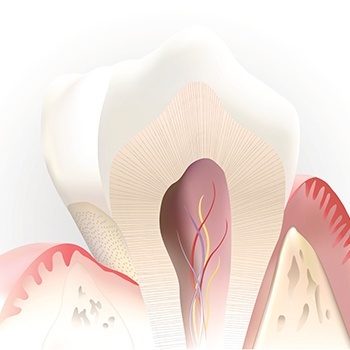 Thanks to modern-day dental techniques including sedation, this often feared procedure is now no more painful than getting a small filling.